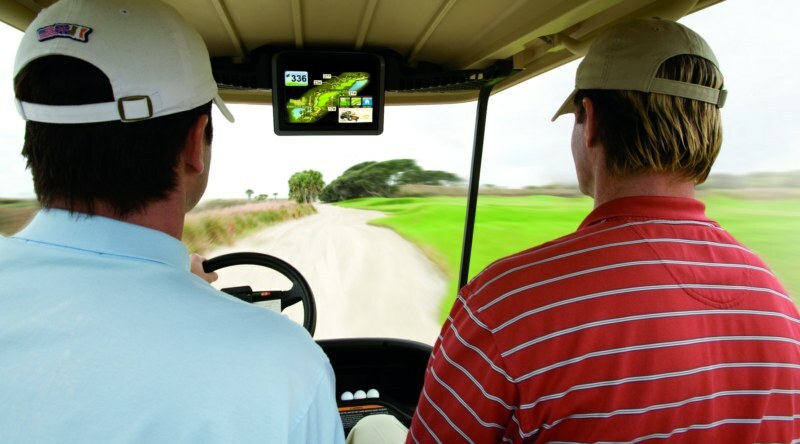 Augusta, Ga. – A golf car’s primary function is transportation, but equipped with the right technology its potential goes far beyond moving golfers and their equipment, according to Club Car, which announced the introduction of golf’s first mobile information system at the recent PGA Show. Known as Visage, the system represents the golf car industry’s most extensive marriage of vehicle and technology to help course managers address critical revenue and expense needs while enhancing customer satisfaction. * Intuitive, touch-screen technology, 10.2-inch screen with 1000 nit brightness that automatically adjusts for changes in natural light and enhanced graphics of each hole. * 3-D flyovers with audio (similar to network television coverage), tee-shot distance stats and scorecard and tournament management features that make it easy to keep up with scores of other players during a competitive event. * Improved two-way cellular communications that enable a course and golfer to be in contact at any point during a round of golf. This technology allows golfers to contact the grill or mobile beverage vehicles at any time, increasing the potential for additional snack and beverage orders and giving the course the opportunity to make available higher margin menu items. Golfers can also book tee times before leaving the course. Courses can use the same functionality to send weather alerts and promote sales, special offers and lessons. * Real-time positioning keeps the golf shop aware of each group’s exact location, making marshals more effective and improving pace of play. * Ability to limit golf car access to sensitive areas, reducing labor time and costs for mowing and staking. Courses installing Visage are not required to purchase hardware or license software. Instead, they rent the equipment required and receive service and support as part of an annual commitment. The system is priced based on fleet size with annual costs ranging from $30,000 to $50,000, depending on which of three Visage packages is chosen and the number of services enabled. The first Visage units are scheduled to ship by the end of March 2010. GPS Industries also helped develop Club Car’s Guardian Satellite Vehicle Control fleet protection system, which was introduced in 2009. Guardian helps courses limit vehicle access, control vehicle speed, review the history of where a golf car has been driven and monitor and diagnose vehicle performance. Visage is available on Club Car’s Precedent and DS electric- and gas-powered golf cars. When Visage is installed on Club Car’s Precedent golf cars equipped with the Excel power drive system, the vehicle also comes with the Guardian SVC system installed at no additional cost. Visage also can be installed on any brand of golf car. Club Car has been one of the most respected names in the golf industry for more than half a century. 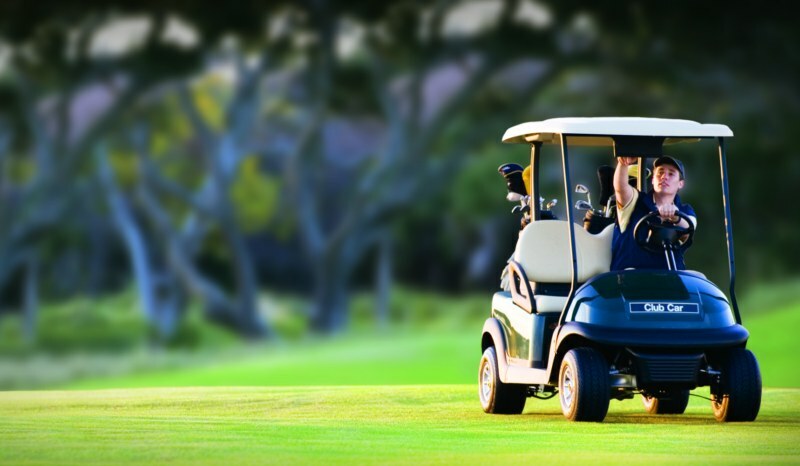 The company’s dependable and efficient Precedent golf cars and Carryall Turf utility vehicles are integral to the successful operations of thousands of courses in the U.S. and around the world. The world’s largest manufacturer of electric vehicles is also recognizes as an innovation leader. The Augusta, Ga.-based company, a division of Ingersoll Rand, is equally respected for the support it provides the game’s leading associations and organizations, including the PGA of America, the NGCOA, GCSAA, CMAA, The First Tee and the Executive Women’s Golf Association. GPS Industries develops and markets technology-based solutions that help golf courses, resorts and residential communities generate incremental revenues and improve operational efficiencies. GPSI, in collaboration with Club Car, developed the Visage Mobile Golf Information System and provides for its ongoing support. GPSI was created in 2009 through the acquisition and merger of GPS Industries, ProLink Systems and a series of assets previously owned by DavidChessler, chief excecutive officer of the Sarasota, Fla.-based company. Major GPSI investors and advisers include Falconhead Capital, an investment firm specializing in consumer-focused businesses in the leisure, lifestyle, sport and media categories; and Greg Norman’s Great White Shark Enterprises.